Emocionaaaadaaaaa por haber sido escogida para formar parte de las bloggers que aparecen en la It-List de Jill (Good Life for Less) !! 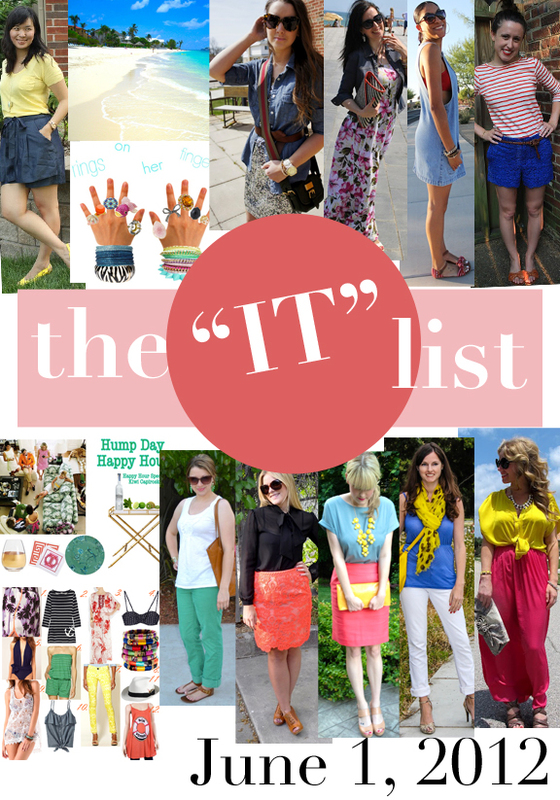 Soooo happy for having been selected as one of the bloggers to appear in the It-List edited by Jill (Good Life for Less) !! Wardrobes I Met and Liked is wearing the most amazing neon skirt! Paired with black, it makes for an on-trend look for day or evening! Urban Frill pairs pastels and brights for a colorblocked look that is sure to please! She is also matching her bag to her necklace - such a fun look for summer! Tu blog es muy bueno y eso se acaba apreciando. Congratulations on your feature. How exciting!!! Congratulations on the feature, now following!